Rumours were strong before BaselWorld even started. 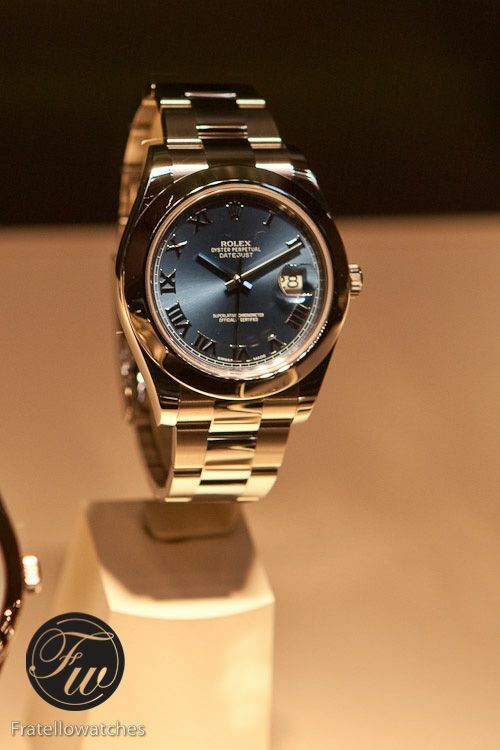 Like last year, it seems that Rolex gave away too many hints of what was coming to us. The name was unveiled already, but we guess that nobody saw this coming! The Rolex Sky-Dweller ref.326939 (white gold) is a dress watch instead of a sports watch, but does include some very nice (new) features. 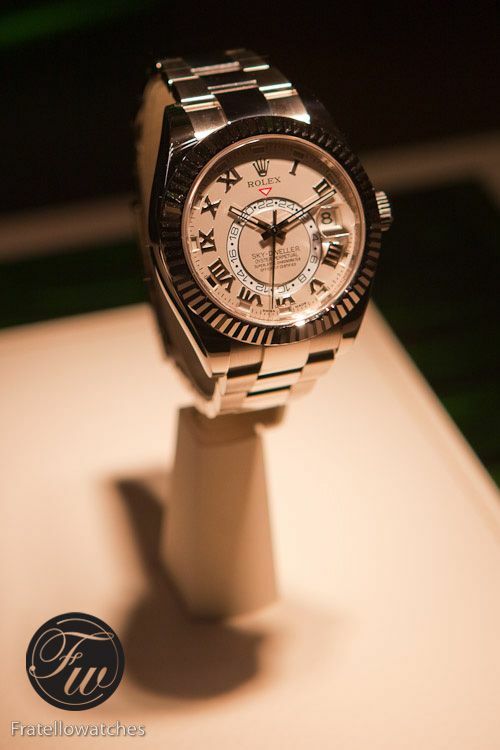 We took some live photos today at BaselWorld 2012 and grabbed a press kit to find out more about this timepiece. 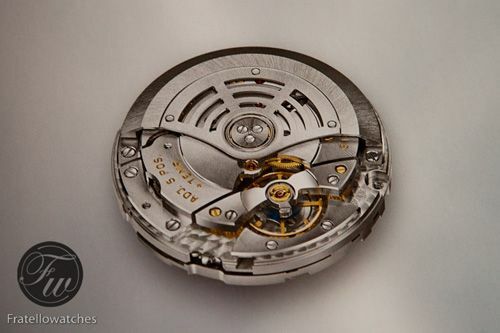 The caliber 9001 movement enables the Sky-Dweller to have a date, month, 24-hour indication and a 2nd timezone. Also, the Sky-Dweller has an instantaneous annual calendar at 3 o’clock. With the exception of the month February, all days of the month work without adjusting the date. Rolex uses a patented mechanism for this, named SAROS. It automatically differentiates between 30-day and 31-day months, except for February, which is neither of them. Rolex also uses a new month indicator, using an outer ring on the dial with small apertures above the hour markers to display the number of the month (1 – 12). An impressive and effective method for displaying the month of the year. How can one set all these features on this watch with only 1 crown? Well, here comes the Ring Command setting system in place. The bi-directional bezel sets the function(date, local time or reference time) and further setting is being done by using the crown. 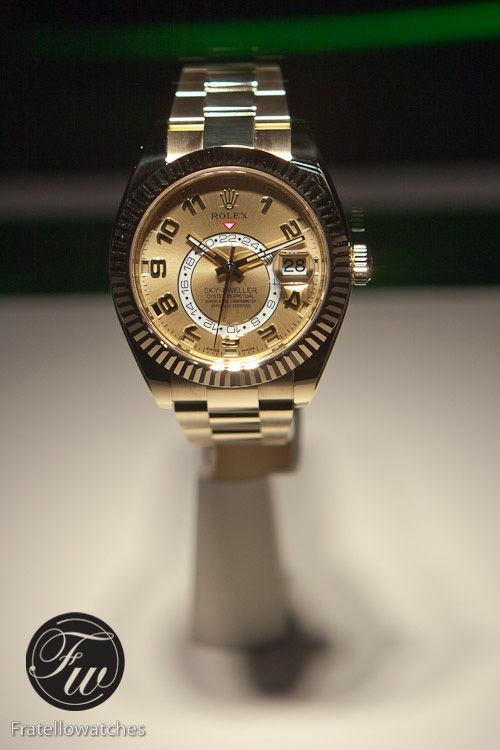 Rolex needed 60 components to embed the Ring Command system in the Rolex Sky-Dweller. Available in several versions, the 42mm Rolex Sky-Dweller comes in white gold (ref.326939), yellow gold (ref.326938) and EVEROSE gold (ref. 326935). The latter comes on a leather strap. 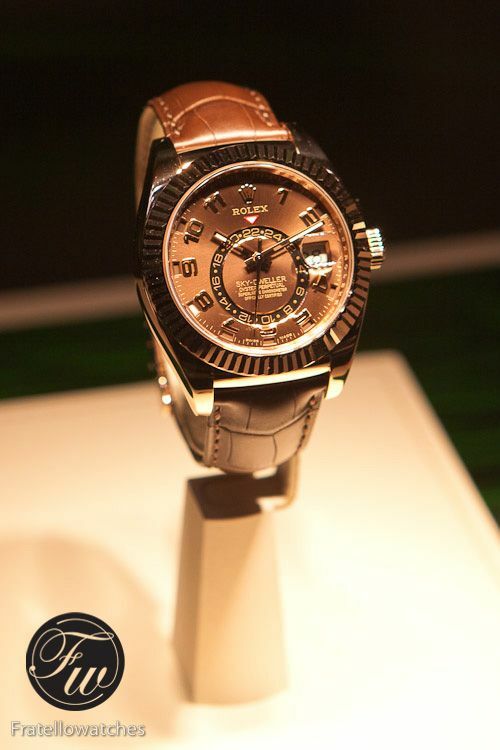 To be honest, we weren’t too impressed by its looks when we first saw it today at BaselWorld. However, after reading the specifications of the watch, we are at least impressed by its functionality and technical features. Perhaps, as with a lot of good things, it has to grow on us. 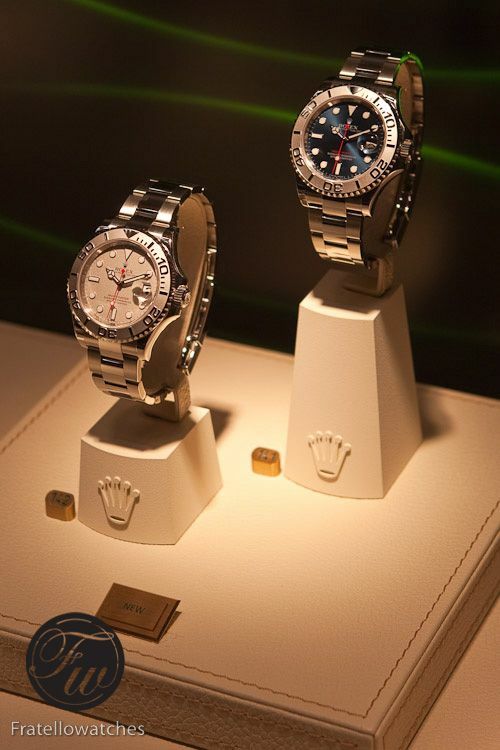 Other Rolex BaselWorld 2012 novelties are the Submariner No Date, the Datejust II with smooth bezel and a new variation of the Yacht-Master (blue dial and new style folding clasps). Pictures shown below, more information will follow soon.